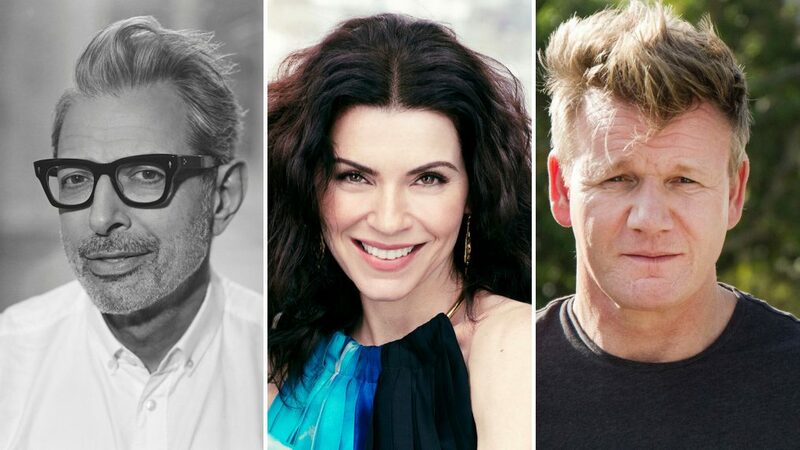 At the Summer TCAs 2018, National Geographic made some exciting announcements regarding their future lineup, including projects with stars Julianna Margulies, Jeff Goldblum, and Gordon Ramsay. Margulies returns to leading-lady status as she's set to star in the network's upcoming Ebola crisis series, The Hot Zone. The scripted drama will follow the the first time the deadly virus landed on U.S. soil in 1989, surfacing in a Washington D.C. research lab among chimpanzees. The actress will portray the brave military scientist who worked to "head off the outbreak" before spreading to humans. "Julianna is dream casting for the role of Dr. Nancy Jaax," said Carolyn Bernstein, National Geographic's executive vice president of global scripted development and production. "Her rare combination of warmth, strength, humor and intelligence are the perfect recipe to make this terrifying true story feel relatable, grounded and human." "The Hot Zone is the perfect example of National Geographic’s commitment to premium, brand-relevant storytelling that is at once wildly entertaining and deepens people’s understanding of the world," Bernstein continued. 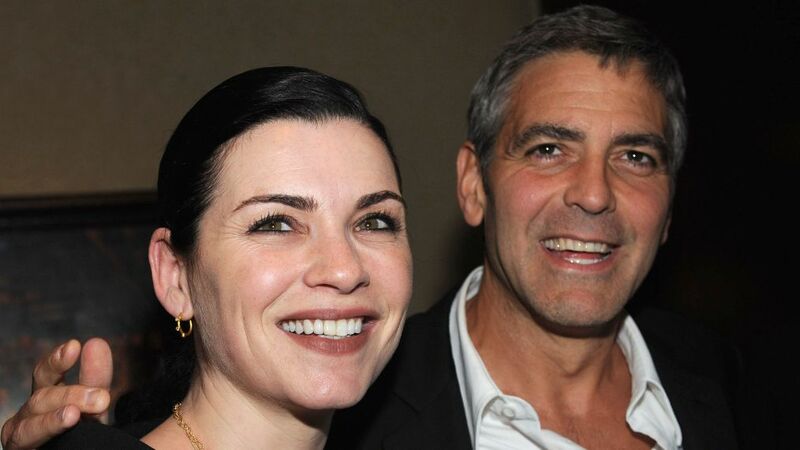 The actress' character Carol Hathaway originally died in the pilot of the NBC series. The project will also reunite Margulies with her The Good Wife producing team at Scott Free Productions (Ridley Scott's production company). Additionally, The Hot Zone will be produced by Lynda Obst Productions, Kelly Souders and Brian Peterson, Jeff Vintar, and Fox 21 Television Studios. Production kicks off this fall in both Toronto and South Africa. As for Jeff Goldblum, the actor joins the network with a new documentary series titled The Curiosity of Jeff Goldblum (W.T.). The series will ask questions like: How did we get it? How did we make it? And how do we use it? Each 30-minute episode is described as a study of the "Science of Life" and how everything around us is connected. The Curiosity of Jeff Goldblum (W.T.) will see the actor explore things as simple as "balloons and coffee" and uncover their astonishing backstories. The show will also take viewers around the world with Goldblum. "We are thrilled to partner with megastar Jeff Goldblum who shares our insatiable curiosity and passion for learning," said Courteney Monroe, CEO of National Geographic Global Networks in a statement. "This series is the perfect platform for Jeff to use his uniquely infectious and approachable charm to take viewers on an unexpected and surprising journey." Goldblum released his own statement about the partnership, saying, "National Geographic has a knack for developing smart, immersive narratives that expand our understanding of the world around us in creative and entertaining ways. Curiosity is a fundamental human trait; The Curiosity of Jeff Goldblum (W.T.) puts me in the driver’s seat, guiding viewers on a mind-blowing adventure where we break down the unexpectedly complex science behind seemingly basic things." 'For the first time ever, the judges are battling it out as mentors,' he reveals. Gordon Ramsay will bring his culinary expertise to National Geographic in Gordon Ramsay: Uncharted. In this docuseries, viewers will follow the TV chef as he travels around the globe, embarking on "anthropology-through-cuisine expeditions" to fully immerse himself within cultures of the places he visits. Produced by Ramsay's own production company in partnership with National Geographic, Gordon Ramsay: Uncharted will see the chef learn customs, experience their cuisine and even pit him against a local to create a traditional dish from the area. On the itinerary for stops are Malaysian Borneo, Cambodia, and more. Eggs benedict is on the menu. "My passion for adventure has made me not only a better chef but also a fearless apprentice of all cultures, which makes it so exciting for me to work with National Geographic, who’ve been taking exploration to the limit for their entire storied history," said Ramsay in a statement. "We’re thrilled to inspire the legions of Gordon Ramsay fans with a series unlike anything they’ve ever seen from him before," Courteney Monroe, CEO of National Geographic Global Networks said of the news. Needless to say, National Geographic is bringing in some major talent for its upcoming season!